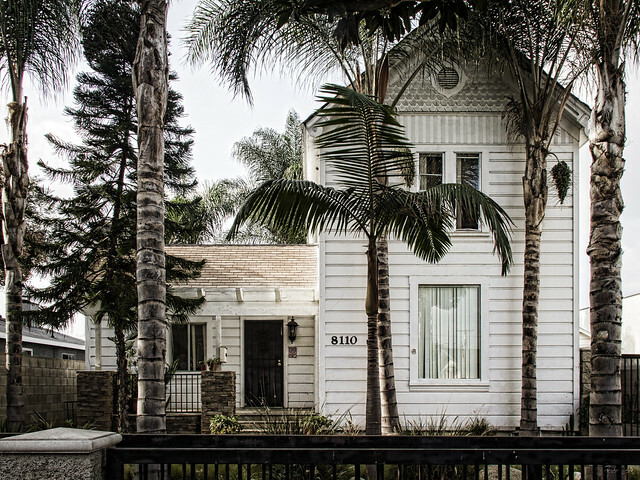 This house in downtown Downey was built in 1881. Its style falls into the category of "folk Victorian." Unlike the fancier Victorian and Queen Anne styles, this was a home that the ordinary family could afford. 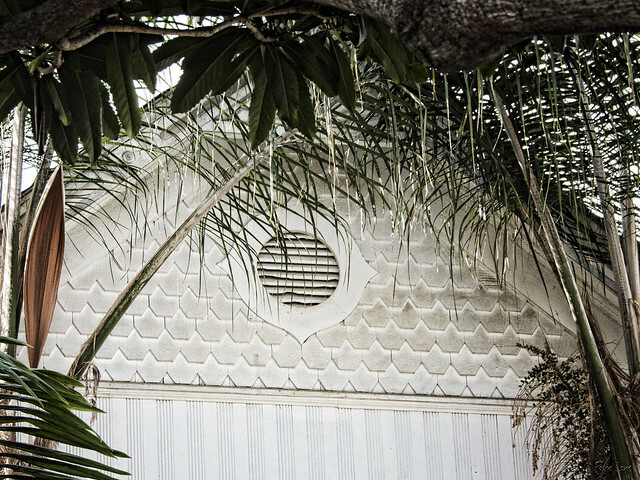 Mass production made decorative architectural trim more affordable, and the expansion of the railroads made it possible to get factory-made parts nearly anywhere. 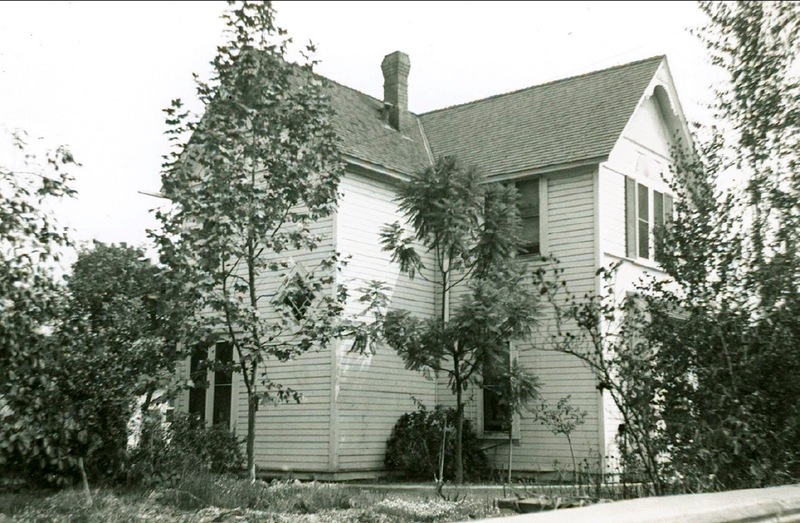 The undated picture below (courtesy of the Downey Historical Society Archives) shows the house before it became surrounded by commercial buildings.